Your blood glucose levels can show you what to eat to avoid type 2 diabetes, obesity and heart disease (among others). Here is why, and how. 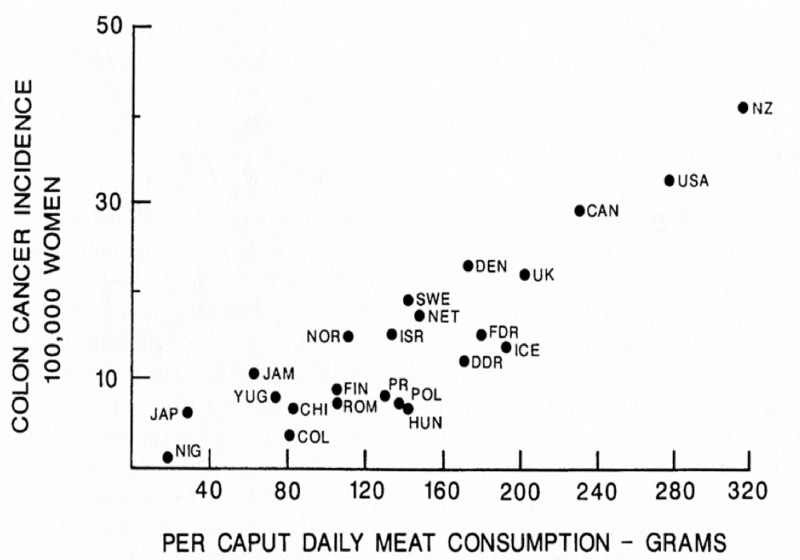 Maybe it was my love of pretty graphs, maybe it was the fact that 25% of “nutritionists” called pizza healthy, maybe butter needed to be defended. The itch was too strong: Must. Restore. Order. The New York Times recently published an article comparing the “healthiness” of 50 common foods, as rated both by a panel of nutritionists and a representative sample of the US population. The results demonstrate that the average American believes sugary foods (like granola bars) are healthier than nutritionists rate them to be. So far, so unsurprising. After a tumultuous vegan era, much scientific research and self-experimentation, I have adopted a low-carbohydrate, low-sugar (apart from the occasional cookie) diet. I stay away from grains, rice, starches, fruit juices, sweets, and processed foods, but eat animal foods, veggies, fat, and not-too-sweet fruits galore. I get questioned about my low-carb lifestyle by readers, friends, or people who barely know me but think it’s weird that I am melting butter into my coffee (especially waiters, it’s always the waiters). And in case you were also wondering, here are my answers! My first video series on Instagram explored 10 detrimental effects of sugar on our health. Here are the scientific references behind each of my 15-second videos (and my face, courtesy of yours truly). Enjoy! NUMBER 1: It is absolutely unnecessary. Table sugar (white sugar) increases the caloric content and sweetness of foods, without giving your body anything it needs. As a counter example, consider raw honey. It is sweet but also contains vitamins and amino acids. It’s a better option! Sugar is calories. That’s it. Adding to this fact, people who eat a high-sugar diet also reduce their intake of nutritious foods, making their overall diet even poorer in value.